Dean's brother Sam has done his best to escape his family's eerie history. 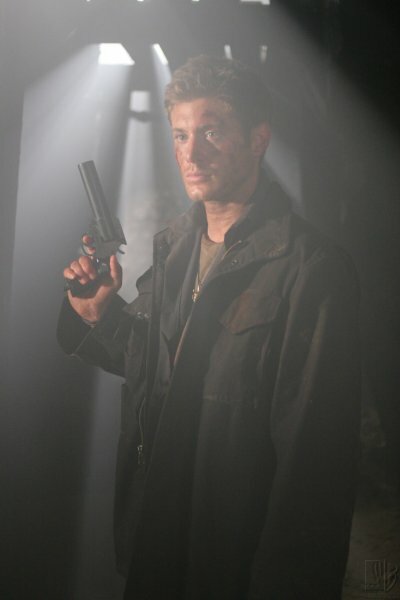 Unlike his older brother, Dean, Sam rejected their father's obsessive quest to uncover the evil forces that claimed the life of the boys' mother. Dean, however, took a very different path, following their father into the "family business." When Dean arrives on Sam's doorstep with the news that their father has vanished, Sam has no choice but to put his personal plans on hold and join Dean on the road. After four years apart, the reunited brothers are getting to know each other again, and their familiar sibling rivalries are never far from the surface. Despite the strange childhood they shared, these boys turned out to have very different views of the world. Dean still idolizes his father and, although he often appears cocky and fearless, in reality he is haunted by memories of his mother's violent death.